ClubLink is proud to announce a new member benefit thanks to KRG Insurance. The new insurance offering, developed by KRG and Aviva, is a solution designed with golfers in mind with an exclusive price available only to ClubLink Members. “Everyone needs insurance. You can’t run a business, you can’t buy a car, you can’t buy a home, you can’t get a mortgage, and you can’t survive without insurance,” says Josh Wise, a Senior Account Manager at KRG and a ClubLink Member himself. Thanks to KRG, ClubLink Members can receive a discount on auto, home, condo, rental, cottage, boats, recreational vehicles and more. Members can also receive the following golf-specific benefits at no extra cost. If your equipment gets stolen, KRG will cover ClubLink Members up to $5,000. If your clubs don’t show up on a bucket-list golf trip, KRG will cover your rentals for $100 per day (up to $2,000 total). And if you happen to get a hole-in-one and have to cover a big bill, KRG will give you up to $500 to help offset the cost. All the aforementioned benefits that are specific to golf are offered to ClubLink Members, with no deductible. 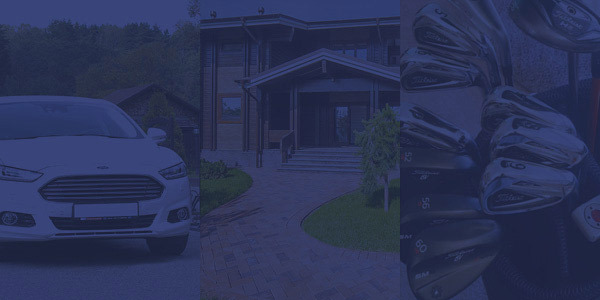 Up to $5,000 for lost or stolen equipment (clubs, pull carts, lasers) with zero deductible. If your equipment or golf cart is lost or damage, and you are unable to play golf as a result, you will be reimbursed for the rental or replacement. Up to $100 a day (maximum of $2000) with zero deductible. Celebration costs when you achieve a hole-in-one at a non-ClubLink course. Up to $500 with zero deductible. Click here to learn more about this tremendous opportunity, only available to ClubLink Members.